Welcome to Socotra Island !! Socotra Island is a unique place in the World for fishing ! We have high concentration of most sport fish species : the most important sportfish is Gt. 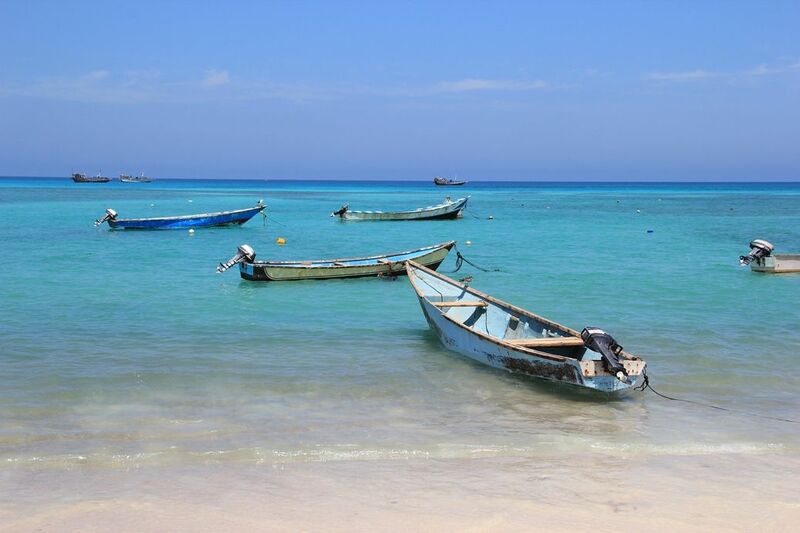 Socotra Island is one of the prime spots for GT Fishing. The incredible thing about this island is the average size of the Giant Trevallies, which is around 35 Kilogram, with fish up to 60 Kilogram caught every year. But in October there is a huge migration of Sailfish and Spanish Mackarell, and a migration of pelagic crab, that floating on the water cause a continuos feeding by many kind of trevally such as Golden Trevally, Yellow Spottet Trevally, Bludger Trevally and Black Tip Trevally. Many kind of coral fish are present such as Red Snapper, Green Jobfish, Rusty Jobfish, Coral Trout and different species of grouper and emperor. The best seasons for fishing Socotra are Autumn and Spring because in Summer and Winter the wind is very strong and the sea very rough. You can fish well and safe from October to November and from March to April. Actually (2019) we have weekly flight to Socotra Island from Cairo (each wednesday) so can arrange a 8 days tour (or more), including some full days of fishing and at the same time, the discovery of the most beautifull Natural reserves of the Island. A sufficient supply of water for the whole trip. Protected areas fees and all other fees. Please contact us for more details, we will build for you the perfect fishing tour ! 2018 - Socotra Adventure - a TomVoyages company registred at Atout France (IM093180009) - All Rights Reserved.